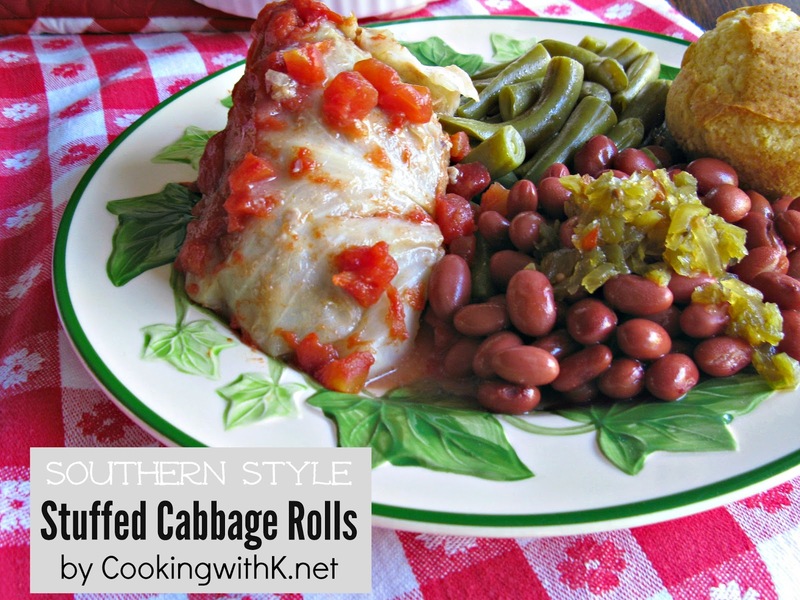 Southern Style Stuffed Cabbage Rolls are one of my favorite dishes my Mother handed down to me. 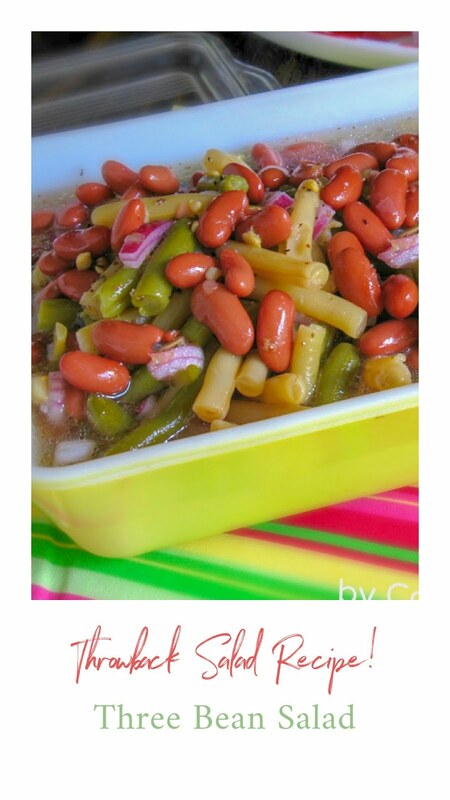 Her recipe is very simple to make using few ingredients that make for an inexpensive meal. They are made with hamburger, rice, onions, and covered in a ketchup diced tomato sauce. These Stuffed Cabbage Rolls make a perfect weeknight dish. 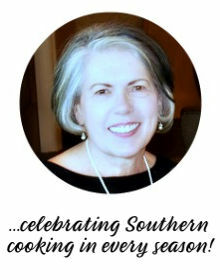 I served them with Spicy Pinto Beans, Hot Sweet Pepper Relish, Sauted Green Beans, and Onion Peppered Corn Muffins. We had a delicious meal. Hope you can make some Cabbage Rolls real soon. Enjoy! Preheat oven 375 degrees. Spray a 13x9 baking dish with a non stick cooking spray; set aside. In a large bowl, combine first 8 ingredients together until all ingredients are incorporated. Lay 6 cabbage leave on baking sheet. Fill each leaf with 1/4 cup of meat mixture. Roll leaves around the meat mixture burrito style. Lay cabbage rolls in prepared baking dish seam side down. Prepare the remaining 6 cabbage leaves the same as before. In a small bowl, mix diced tomatoes and ketchup together until smooth. Spoon mixture over prepared cabbage rolls. Bake for 1 hour or until meat is done . Note: I cut the end off at the stalk of the cabbage and drop the whole head of cabbage in a large pot of boiling water. Leave it there for about 5 to 10 minutes…not long. Lift the whole head of cabbage out of the water and drop it down in a large bowl (I use my kitchen sink) of cold water and when the cabbage is cool enough gently pull the cabbage leaves away from the head leaving them in the cold water until ready to use. Some people put the head of cabbage in the freezer for an hour and then put it in the hot water, but I have never been successful with that method. I love stuffed cabbage Kay! This recipe looks absolutely amazing! Man I used to make these all the time! Can't remember why I quit....thanks for sharing this so now I can make them again! So glad you stopped by to tell me…these are yummy! Mmm, I LOVEstuffed cabbage. I'll be trying this recipe soon! 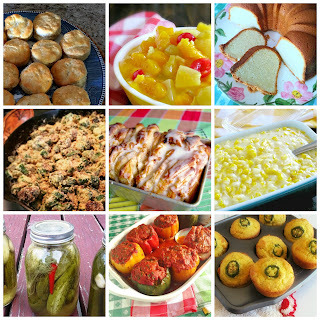 Thank you for stopping by…you will love this recipe! Oh! 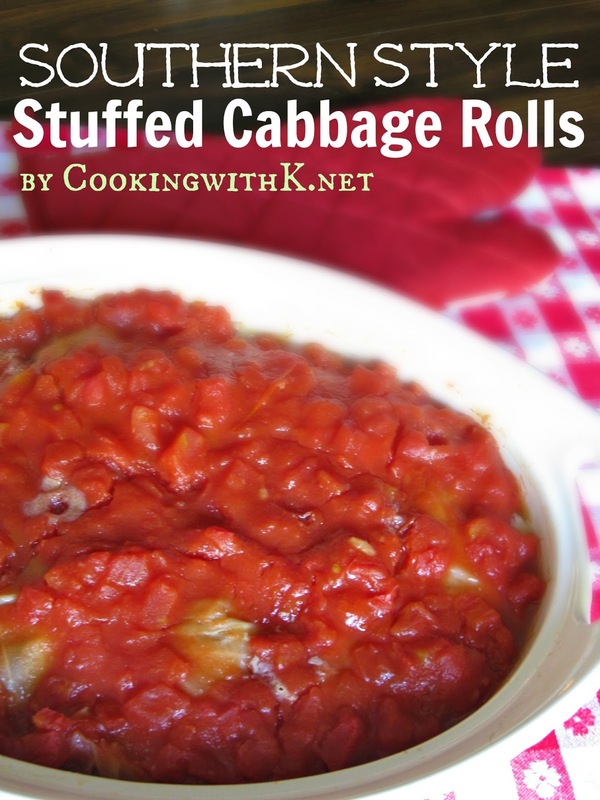 We love cabbage and I know Hubby will enjoy these! Thanks for linking up to Turn It Up Tuesday! 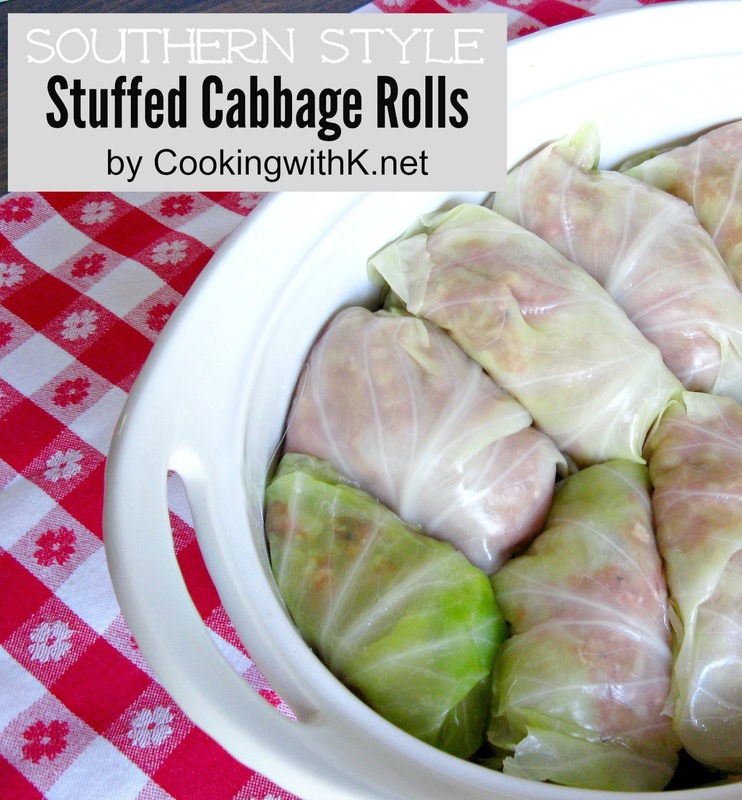 Can you explain how to soften the cabbage rolls in hot water - Want to try making this. Can you explain how to soften the cabbage roll in hot water. Really want to try soon. La Donna I cut the end off at the stalk of cabbage and drop the whole head of cabbage in a large pot of boiling water. Leave it there for about 5 to 10 minutes…not long. Lift the whole head of cabbage out of the water and drop it down in a large bowl ( I use my kitchen sink) of cold water and when the cabbage is cool enough gently the cabbage leaves away from the head leaving them in the cold water until ready to use. Hope this helps. Some people put the head of cabbage in the freezer and then put it in the hot water, but I have never been successful with that manner. To your response I am adding a note to help others. Thank you for your interest. Thanks so much, and going to try this week-end. Your welcome….come back and let me know what your think! So glad you stopped by to share with me about your husband…..hope you get to try these cabbage rolls…they are really delicious. My goodness Kay! Not only do the cabbage rolls look fabulous...everthing on the plate does too. Thanks so much for sharing with us at Weekend Potluck.